By Nageshwar Patnaik in Bhubaneswar, February 1, 2019: Odisha chief minister Naveen Patnaik is a happy man and has reason to rejoice over the fact that prime minister Narendra Modi has taken cue from his Krushak Assistance for Livelihood and Income Augmentation (KALIA) scheme to introduce the scheme called Pradhan Mantri Kisan Samman Nidhi. 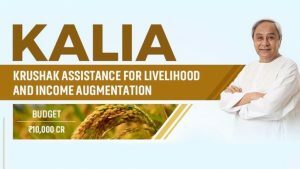 Patnaik has introduced theKALIA scheme which offers direct benefit cash transfer of Rs 25,000 for a farm family over five seasons to small and marginal farmers to support them buy inputs like seeds, fertilisers, pesticides and also use it towards labour and other investments. This is being implemented from the Rabi season of 2018-19. The KALIA, contrary to the PM Kisan Samman Nidhi, extends the cash grant to all farmers irrespective of the size of the land holding. An additional gain for Patnaik is that Rs 5000 that Odisha is to give can now be forked from what the Centre is offering from the new financial year. Most importantly, while Kalia offers to all farmers Rs 10,000 a year, what the NDA has proposed in the Interim Budget 2019 is only Rs 6,000 per acre a year, which is incidentally, limited to small and marginal farmers. Under the PM Kissan Nidhi Scheme, the amount of Rs 6,000 will be transferred into bank accounts of farmers holding up to two hectares of land in three equal installments. This cash-support scheme, in a bid to provide relief to the distressed farm sector, will cost the exchequer a staggering Rs 75,000 crore. “This appears to be a poor imitation of the path breaking KALIA scheme,” said Dr Sudhakar Panda, economist and former member of State Farmers Commission. With a more liberal scheme in place, Patnaik has little to worry except for the demand from tenant farmers that they be brought under the ambit of the investment support scheme turning shrill. “Narendra Modi has done this only because it is an election year. Farmers do not perceive him as friendly and this was an easier way out for him when there is a growing demand for loan waiver across the country. 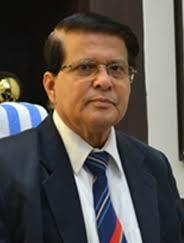 Issues of tenant farmers and those who are landless have not been addressed,” Said Dr Panda. Dr Panda, who is now the vice chancellor of Birla Global University, emphasized that more substantive agricultural reforms are needed, beginning with measures like right fixation of minimum support price to paddy and other crops depending on the cost of production.